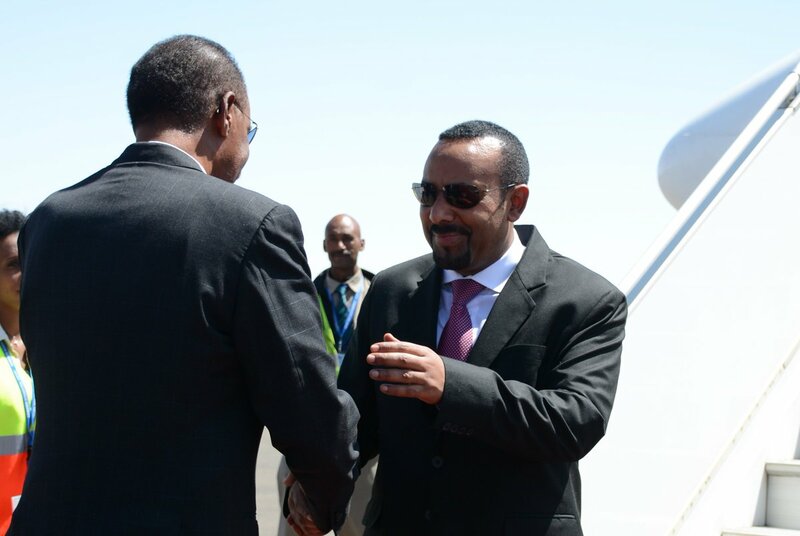 March 3, 2019: Kenya’s President Uhuru Kenyatta and Ethiopia’s Prime Minister Abiy Ahmed arrived on separate flights in mid-morning hours today in Asmara. 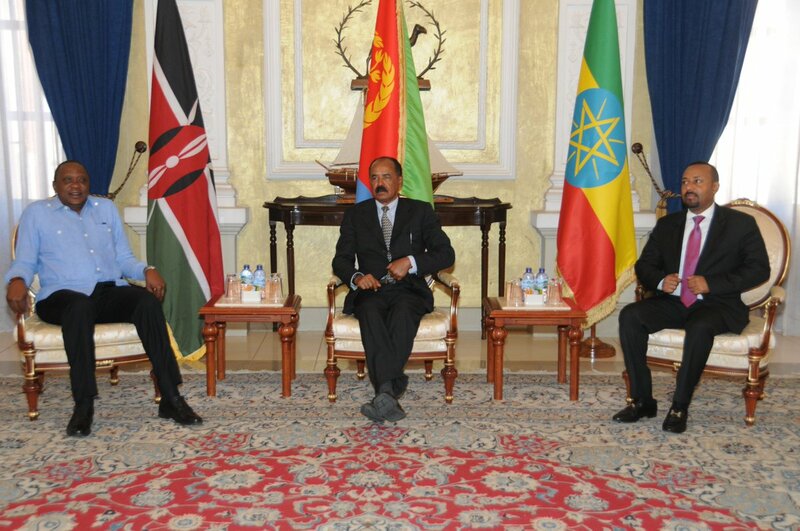 The two leaders were accorded warm welcome on arrival by President Isaias Afewerki at Asmara International Airport. The three leaders will discuss timely regional issues in a Tripartite Summit today while bilateral matters will also feature in separate meetings.